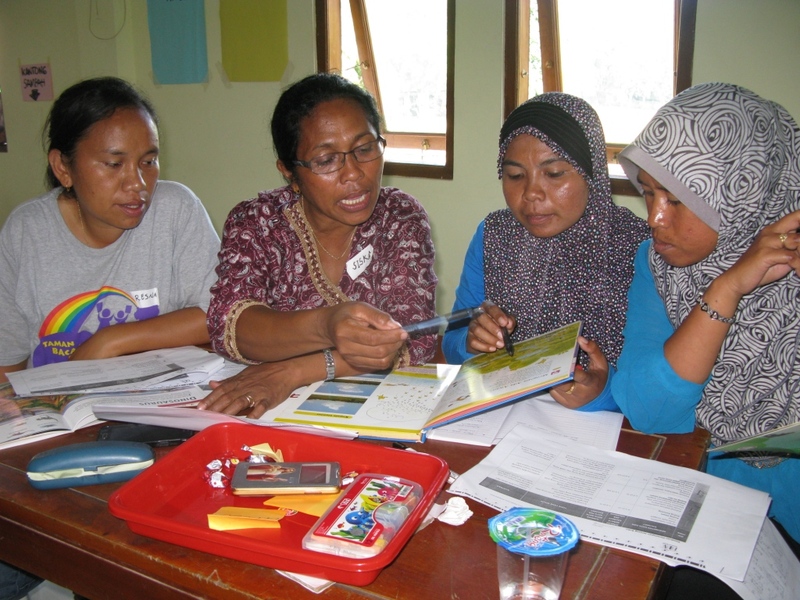 This February, Taman Bacaan Pelangi held it’s fourth workshop to equip teachers and volunteer librarians in Flores with the necessary skills to sustain the libraries. 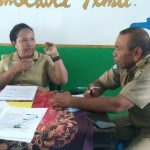 About 30 people were present from various regions within the Manggarai and West Manggarai province. The subject of the training was to manage libraries and execute literacy programs within the libraries. 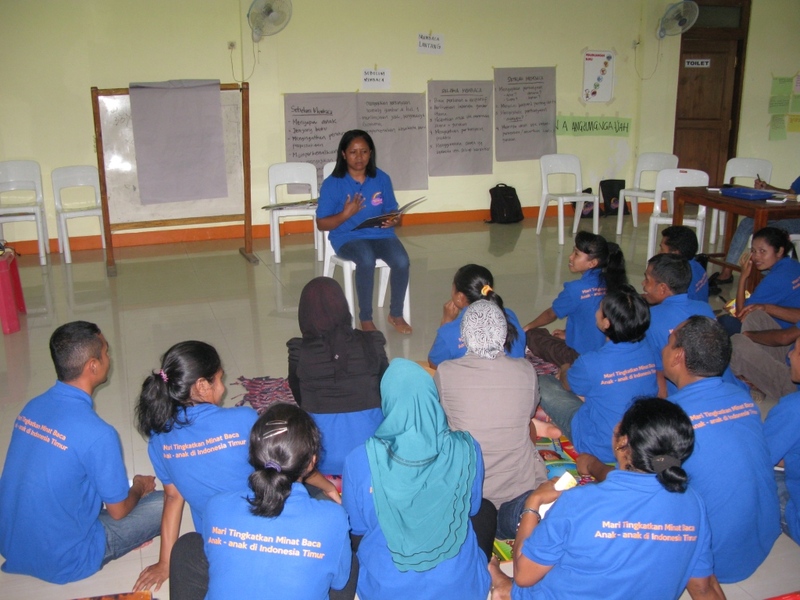 The local Taman Bacaan Pelangi volunteers come from diverse professional backgrounds. 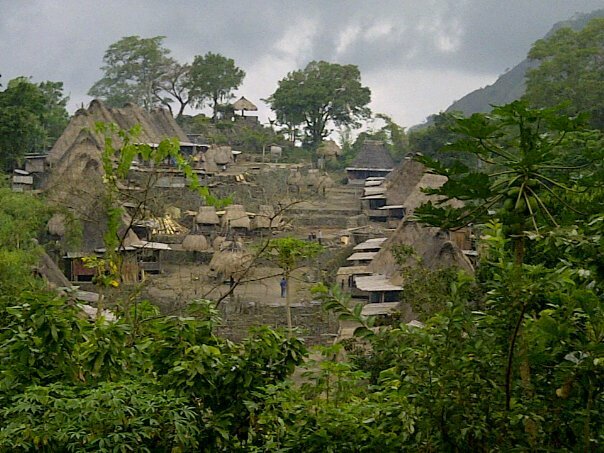 While most of them consists of teachers, there are also farmers and fishermen. 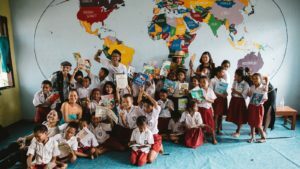 In this workshop, they were taught about the importance of adhering to the library rules, rich reading material, as introducing the new book classification system. 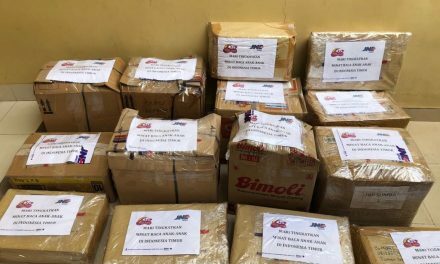 The classification system is new and has been put in effect to a large number of libraries in Flores. 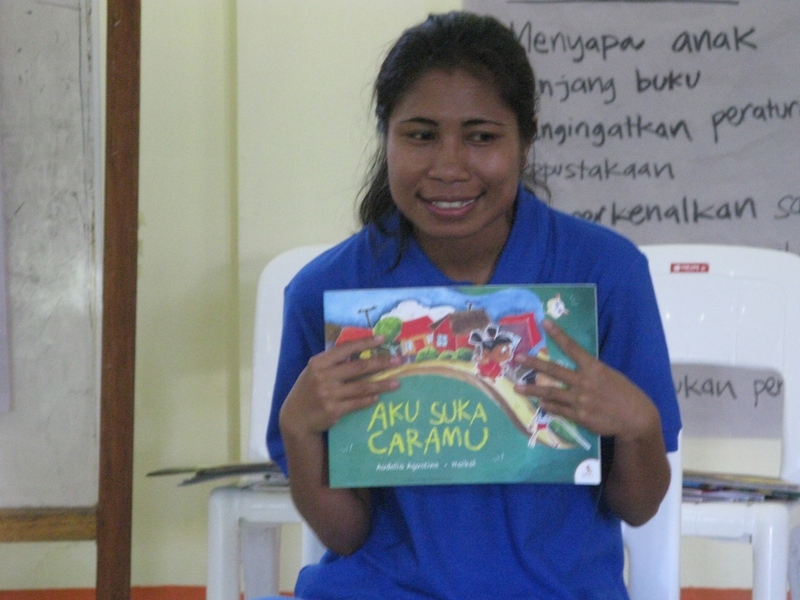 Adopting from the Room to Read system, Taman Bacaan Pelangi classify storybooks, nonfiction texts and chapter books by reading level so that the children can find materials at their level as they continue to improve their reading skills. As students’ reading skills improve, they can move up the scale and find new books to challenge their minds and engage their curiosity. They reading levels are divided into six levels and symbolized by colorful labeled animals that are put on the cover of the books. There’s the bee, fish, deer, lion and elephant. The bee indicates the most basic reading level while the elephant is the most advanced level. Taman Bacaan Pelangi will start executing this system in all of our existing libraries with the hope to improve the reading skills of the students. 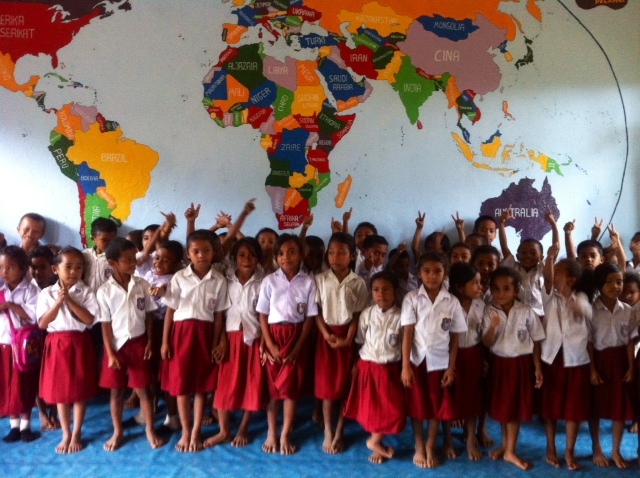 We’ve also trained the volunteer librarians to help the children find books appropriate to their reading level. 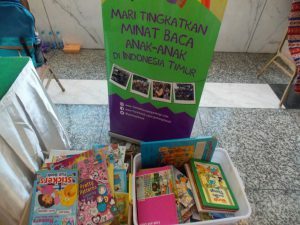 Aside from the book classification, Taman Bacaan Pelangi also introduced new literacy programs and activities that will be held in the library. The new programs include reading out loud, reading in pairs and reading individually. During the training, we specifically focus on reading out loud activity. All of the participants were asked to practice it in front of other participants. The importance behind the read out loud activity is to engage the children to read and tell stories expressively by using elaborate gestures and sounds. The more expressive the librarians are the more appealing the stories would be for the children. All of the participants agreed that these trainings and workshops are very important to sustain the libraries. 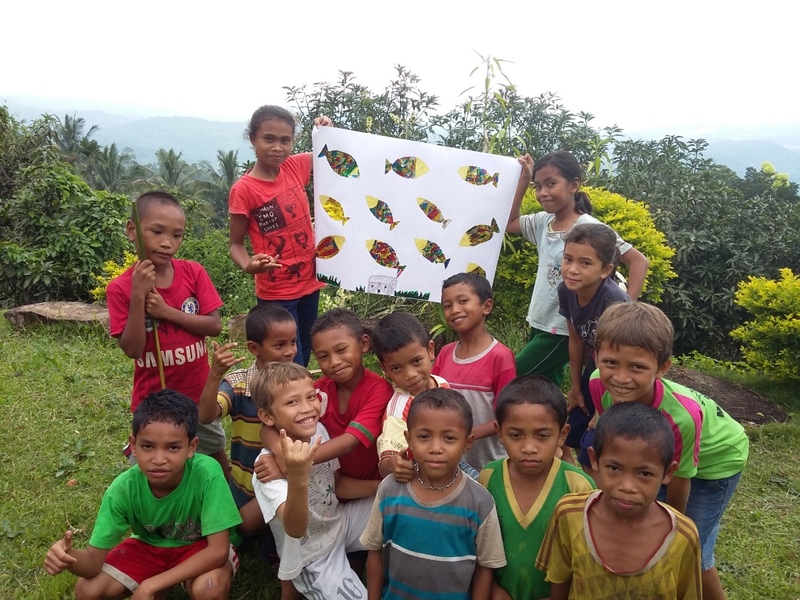 We trust that they will commit to passing all the knowledge that was learned during the workshop to the children of Taman Bacaan Pelangi. We are confident that these upcoming activities and programs will increase the children’s love for reading, not only for learning but as a leisurely activity.